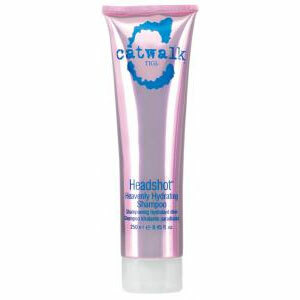 Get picture-perfect hair with Tigi Catwalk Headshot Heavenly Hydrating Shampoo! This divine formula helps to repair damaged hair, effectively replenishing your hairs moisture and shine, leaving it feeling like silk. With a blend of rosehip and ginseng extracts, wheat protein and amino acids, Headshot Heavenly Hydrating Shampoo keeps hair conditioned and hydrated to keep you looking healthy and feeling fabulous! This heavenly formula is safe for use on colour treated hair.